In September 1999, a former adult ESL student of mine was found dead in the trunk of a car a few blocks from our school. Today, thanks to the efforts of many, including the Arlington County (VA) Police Department’s Cold Case Unit, a suspect has been extradited from Guatemala to Arlington, Virginia. I don’t want to to write my former student’s name here (and certainly not his), but you can find them somewhere if you want. I just want to tell you a little bit about her. She was young. She was sweet and funny. When our class walked over to the park for a picnic and games, she could really belt the softball (it might have been a hardball). I took the bird off my bookshelf a few minutes ago. I had thought the little bird stopped chirping years ago, but she chirped a few bars for me. O friends, no more of these sounds! More songs full of joy! Joy to you somewhere, my dear. This entry was posted in Going to School, Memoir, Music, Uncategorized and tagged Arlington, Beethoven, Ode to Joy, Schiller on September 9, 2016 by lyndaterrill. It probably goes without saying that I am distressed and angry about the divisive words of the extreme political right wing. I could name names, but you know those already, so I won’t sully this page. I do wonder, though, if a visit to Minidoka National Historical Site on a cold and windy day (such as when Tom and I visited) might make some ugly talkers rethink their support for a particularly ethnocentric and stupid idea. Minidoka, one of 10 relocation centers created in 1942 by FDR, had a population of approximately 10,000 Japanese Americans and Japanese. Throughout the relocation system, 120,000 people were interned. Although some of my friends, relatives, and coworkers have long known that I stand somewhat left of center on many issues, others of you reading this may not know that. 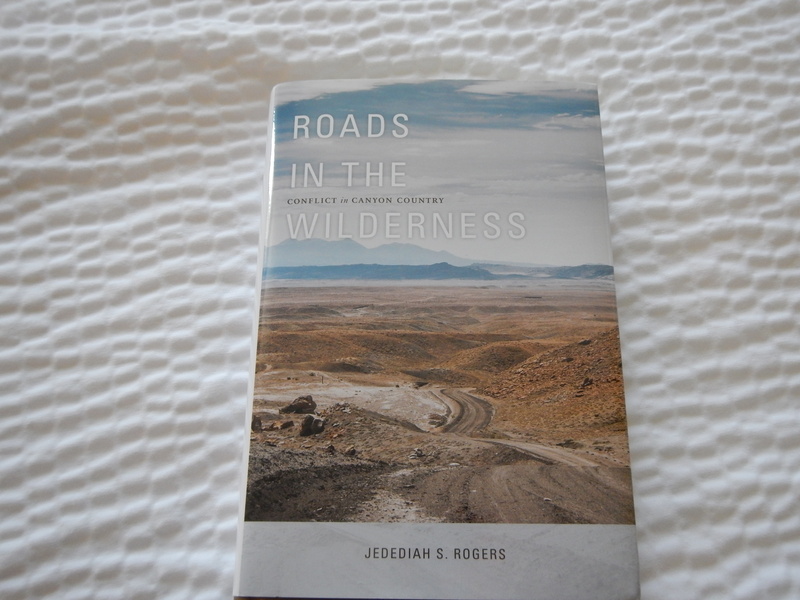 Now, I mostly want to write about music, trees, hikes, and my memories of my family. I wanted to write this post about traveling on the Going-to-the-Sun road. Not now. For weeks, I have been putting off writing about refugees, but I can’t in good conscience wait any longer. So, instead of writing about walking on mountain trails and beside blue lakes, I have to sit here and cry while I try to figure out what to say. I am not, nor have I ever been, a refugee. 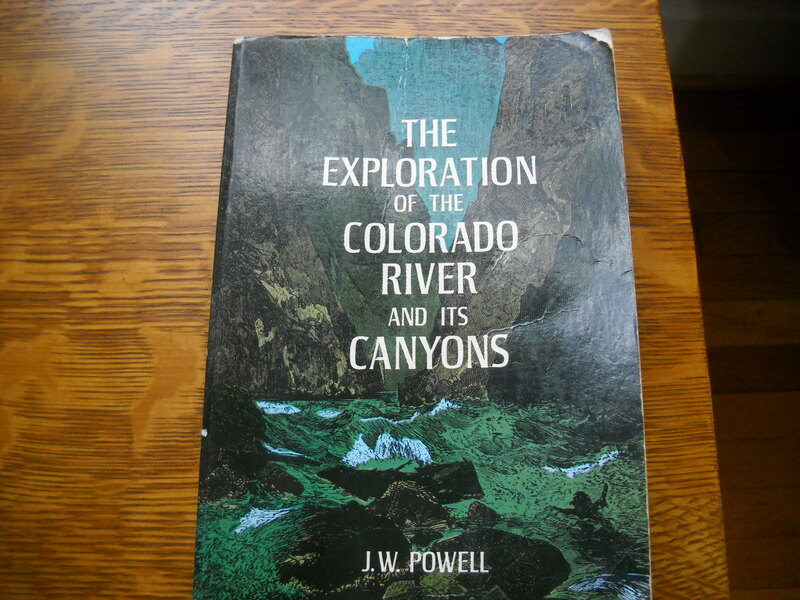 The closest I ever got to being an outcast was when my students and, I guess, the school administration thought I was a communist back in Page, Arizona forty years ago. However, I have had the great honor to work with refugees from around the world. Although I have discarded at least a ton of books and papers these last years, I have kept much (probably most) of the writing from the adult students. When I read the students’ words now, even after many years, I still feel the beating of their hearts. I want to talk about my country, it’s El Salvador. I miss my family and my friends. I want to see my mama. Also, I am missing my farm. I am missing my horse, and cows, dog, but I want to live in this country because in my country, we have war. Mostly, the Salvadorans didn’t talk to me about war. They just moved ahead with their lives. One woman—I’ve forgotten her name, but not her—I taught in a family literacy class at an elementary school in Arlington, Virginia. In those classes, we were all moms and dads together and so things were shared that might not have been talked about in other venues. She talked about how they all slept on the floor because of the flying bullets. This woman let me see the residual pain behind her cheerful, can-do demeanor. She and her family prospered in Arlington, as did the young man who had missed his horse and cows. The woman who made me the golden and ever-blooming flowers (below) told me about her flight through the Cambodian jungle. I think she was the person who told me about burying her child on that journey. Forgive me, there are so many stories, they sometimes run together. 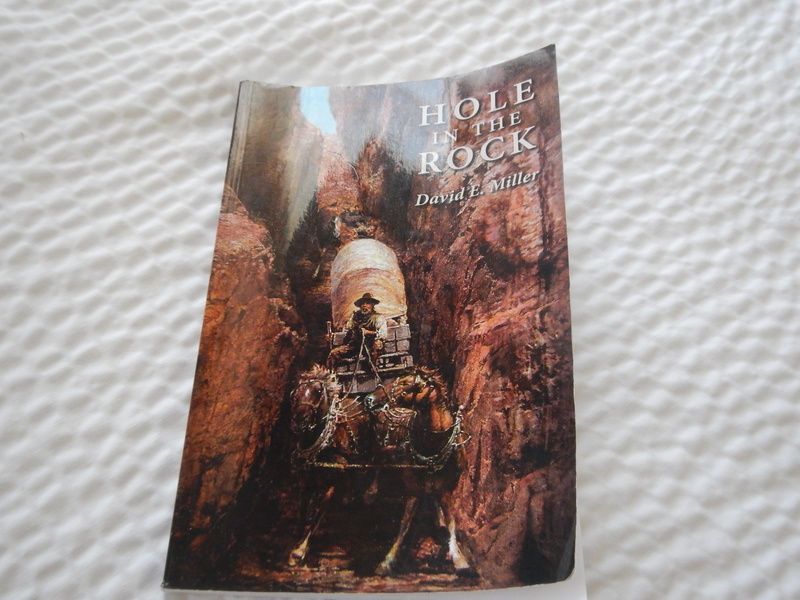 I need to share the stories to help dispel the baseless fears that demagogues spread. At my school, the Arlington Education and Employment Program (REEP), we were always working on projects of one sort or another to help figure out the best and most appropriate ways to teach adult immigrants and refugees. For one project, I interviewed a young Somali woman. She talked about how one day she went to the market and by the time she got back home, her home and her husband had been blown up. When our school was preparing to receive a large group of Somali refugees, we were advised by human resources experts that it would be culturally inappropriate for a woman to shake hands with a Somali man. The first time a Somali man walked into our computer learning center, I walked up and enthusiastically shook his hand, as he did mine. 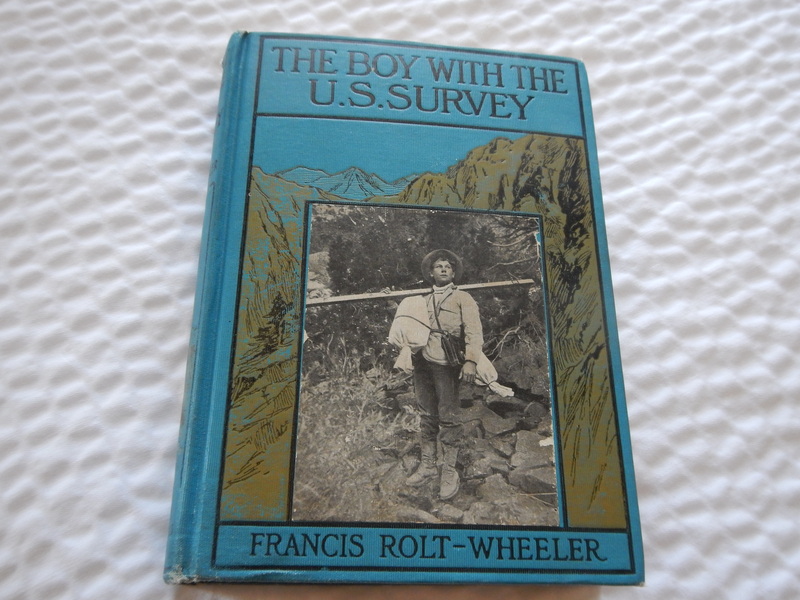 He was in a new land and—enthusiastically—beginning to make a new life. These refugees have lost so much and then they come here and share so much pain, yes, but they also share their love and their hope with us. One day I was sad in class because I was thinking of my mother and her cancer. One young woman told me that she would “pray for your mother in the holy month of Ramadan.” Thank you. So many stories: They are pictures I keep in my heart. I think I will stop for now. However: I want to say, these adult students were so brave and strong. Unlike the fear-mongering stories promulgated by the extreme right wing, these people didn’t want to kill me. They made food for my family and me. I loved them and they loved me. This entry was posted in Going to School, Memoir and tagged Arlington Virginia, El Salvador, Minidoka, REEP, refugees, Somalia, UNHCR on December 25, 2015 by lyndaterrill. Although, unlike the kids in my neighborhood, I am not going back to school tomorrow, I felt the need to write a report on how I spent my summer. Here it is. Sometimes I have trouble separating the fauna from the flora. I like to think that is because I am an integrative person. Maybe that’s why I always grow my herbs, flowers, fruits, and vegetables together. Whatever the reason, my jumbled gardens have worked for me and for the fauna. 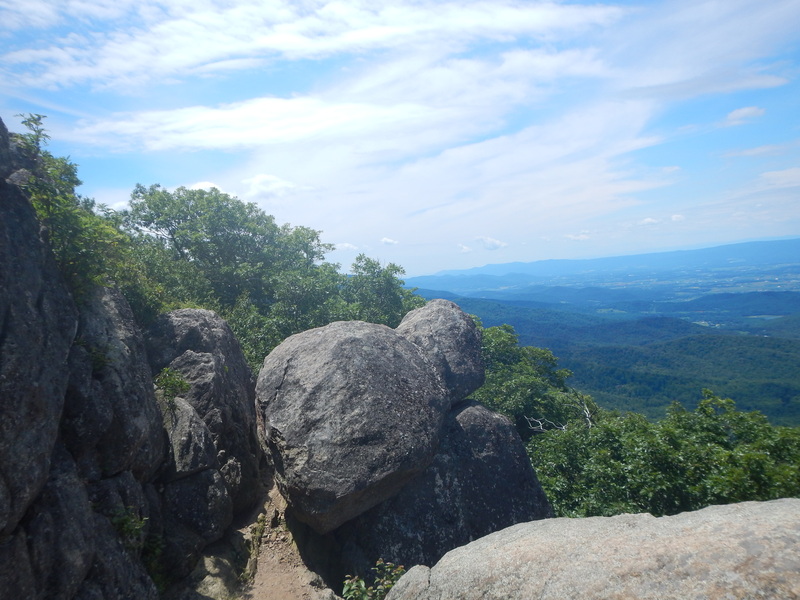 Special Sighting: Last week Tom and I camped at Loft Mountain in Shenandoah National Park. We took a short hike along the Appalachian Trail. 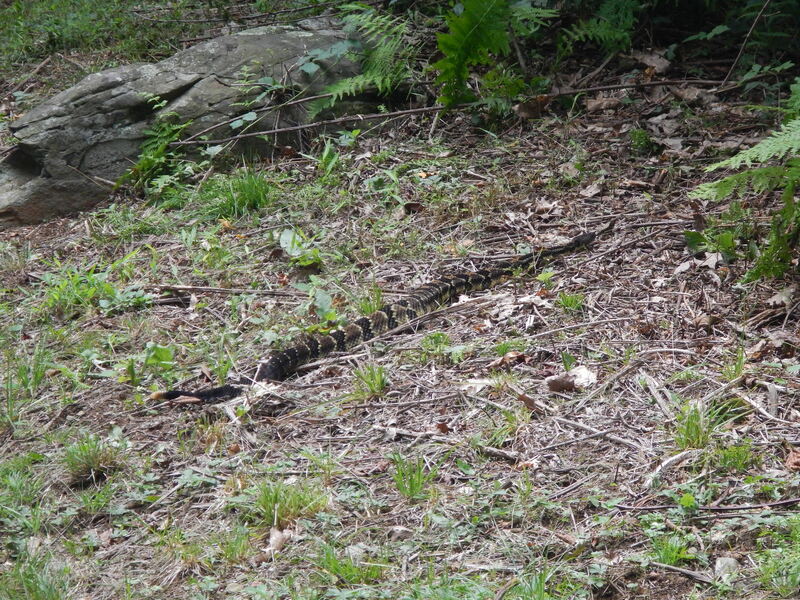 On the trail, a long, lovely, lean timber rattlesnake crossed our path. He didn’t hurry and he didn’t rattle. Because I am an integrative person (so I think), I have trouble separating the fauna and the flora from the music. 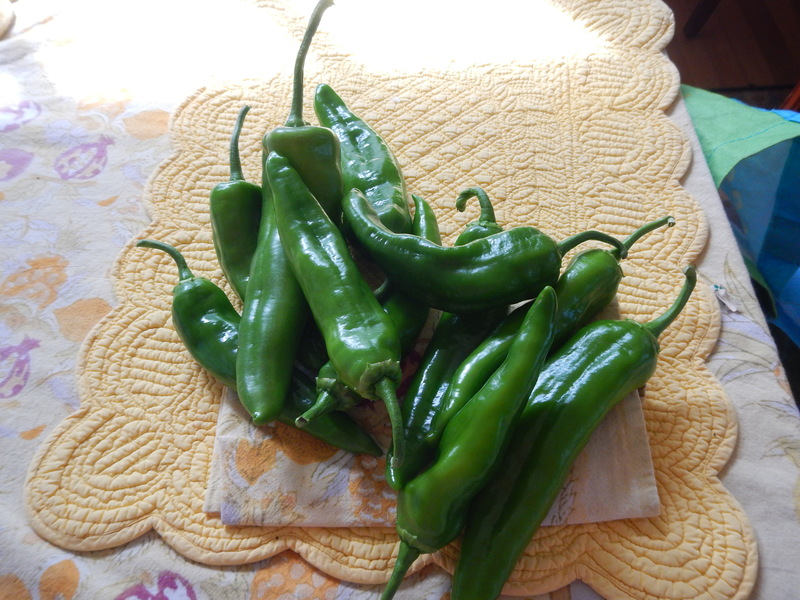 This summer we had a very successful music harvest. In June, we heard and saw Paul McCartney. I was amazed, no maybe about it. I kept thinking this old guy is going to need a break, but all he ever did was pause briefly to switch between guitars and the keyboard and the voice. Richer than Croesus or even Richie Rich, older even than I am, still, McCartney sang every song (some were old, some were new, some were even from video games) as if he meant them. He sang a cappella about a blackbird sitting on the edge of night. He told us that “we can work it out” and we believed him. In early August, we walked to the downtown mall to hear and watch Garrison Keillor. This performance was part of his valedictory tour, “America the Beautiful.” I liked many parts of the show and, of course being an English major type myself, I am a fan. I have loved the way Garrison—may I call you Garrison? As a fellow mid-westerner I feel so close—walks slowly up and down the aisles singing songs with us. When we sang, “I’ve been working on the Railroad,” I was transported back to the car rides of my childhood and to singing with my friends in school or in lilac trees. Garrison sang, “The Battle Hymn of the Republic.” Yes, here 70 miles north of Richmond and he sang, I do believe, all the verses. I want to mention that I knew at least parts of all of the verses. I think that comes from my latter-day abolitionist, overly righteous younger self and to my reading of Uncle Tom’s Cabin and To Kill a Mockingbird (many times) during my formative years. I will remember singing with you, Garrison. Thank you. Last Saturday, Tom and I went up to Wintergreen Resort for the Blue Ridge Mountain Music Fest. When we are in Charlottesville, we attend every August. Each year we fall under the spell of the flowers and the butterflies, the blue hills, and the music that seems integral to the place. All the groups we heard sang and played with that wonderful precision that we’ve come to associate with old-time music and bluegrass. This year, though, it was the group, Balsam Range, that blue us away. I took a dozen photos hoping to catch the passion, the skill, the humor, and the love (sentimental, plaintive, but heartfelt) in their songs. The photos didn’t work out, so now I need to figure out what to say. In their own genre and in their own ways, the artists of Balsam Range seemed as world-class as McCartney. Like Garrison, the group sang a song about the Civil War. This time, though, the sensibility was from the Confederate side. It was a song about a young man about to die a few miles outside of Birmingham. He pleads with the listener to tell his mother that he had been a brave soldier and that he would miss that life he would never have with his sweetheart back home. As I learned time and time again from my refugee and immigrant students, it’s the people close to the ground (on either side of the conflict) that die in war–the farmers, the storekeepers, the women, and the children. We are part of the flora and the fauna, the music, and the blue and rocky hills. We are integrative types, you and I, and, perhaps we are lucky to be here. We were only waiting for this moment to arise. 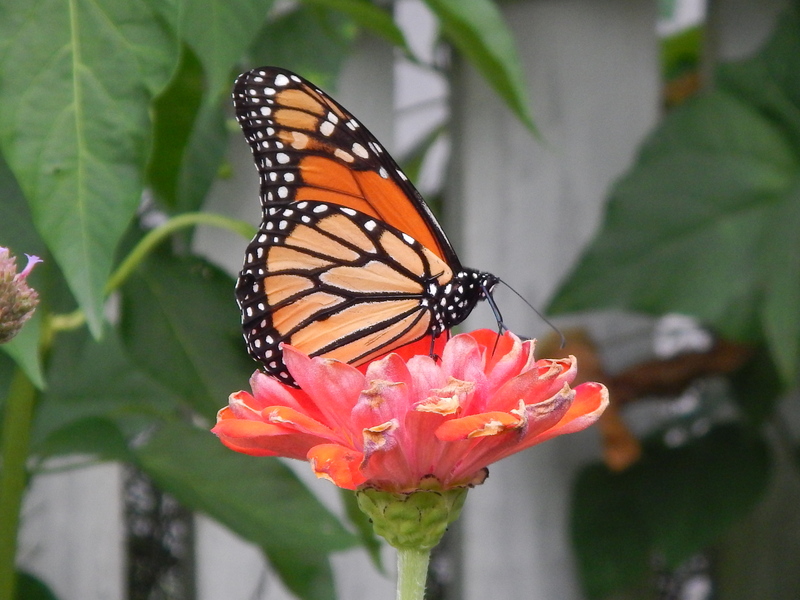 This entry was posted in Flora, Going to School, Music and tagged Balsam Range, Blue Ridge Mountain Music Festival, Charlottesville, Garrison Keillor, honey bee, Loft Mountain, monarch, Paul McCartney, red admiral, Southern Exposure Seed Exchange, tromboncino, Wintergreen on August 19, 2015 by lyndaterrill. Last Tuesday Tom and I took Amtrak to D.C. In our day and a half in the city, we enjoyed many activities including dinner with two children, two museums (The National Museum of the American Indian and The National Gallery), four gardens (Enid A. Haupt, Mary Livingston Ripley, National Garden and Bartholdi Park of the U.S. Botanic Garden), and several big city meals. 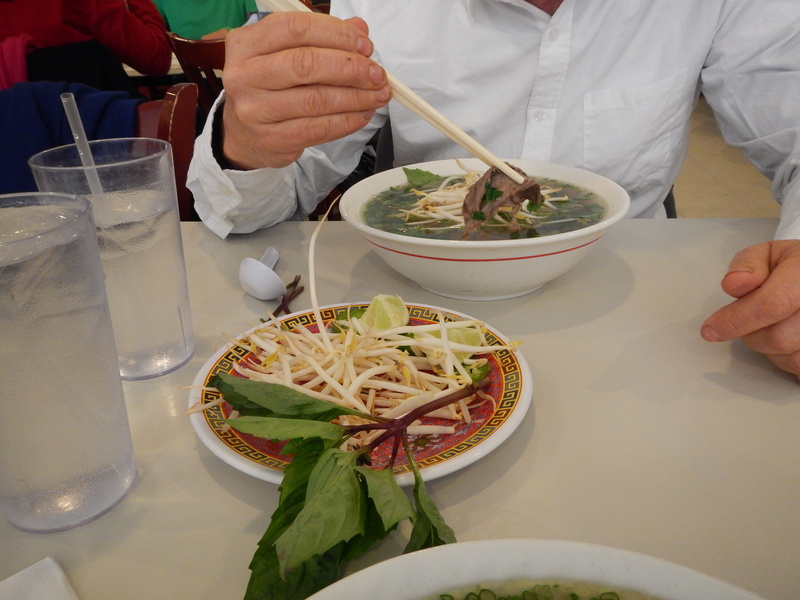 One of these meals was lunch at PHO 75 on Wilson Boulevard in Arlington, Virginia. I think I might have mentioned before about my good fortune in teaching at the Arlington Education and Employment Program (REEP). Before you think, oh no (!) she’s becoming too elliptical again, let me explain the connection. One part of that REEP good fortune was all the great food that was associated with it. 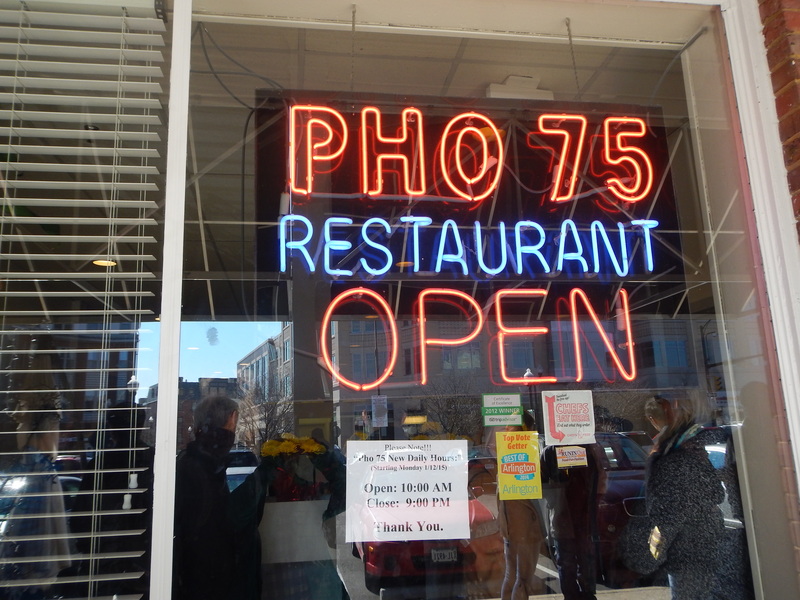 PHO 75 itself was in the strip mall just the other side of the gas station from Wilson School where we taught. Phở is beef and rice noodle soup with a variety of fresh vegetables (and lime) added to it. When it’s made in the traditional way (e.g. with real beef stock, no cutting up the noodles) phở is a delicious soup. What I am remembering today though is not so much the taste of the soup, but the happy times doing good work with my friends. Sometimes we’d get the phở carry out so we could go back to school and slurp through interminable meetings. The slurping and the switching between chopsticks and spoon kept one awake and also (in my case, at least) kept my mouth full so I wasn’t always making comments, which sometimes annoyed a program coordinator or two. The reason I am writing this post: It is the beginning of Vietnamese New Year (Tết). I remember my friends and my students—I counted once, all told I taught people about 85 countries—with love and respect. The real reason I am writing this post: As a follower of the Gregorian calendar, I made my New Year’s resolution a little over six weeks ago. I resolved to be a kinder person. I’m working on it, but it’s surprising to me how often a nice enough person (like me) has to remind herself to be kind. I am happy that another New Year has come around so soon to help me to remember my resolution. Hot soup and warm memories also help in my resolve. We had a snowstorm yesterday. It was nothing like the Northeast or the Midwest, but we did get several inches. 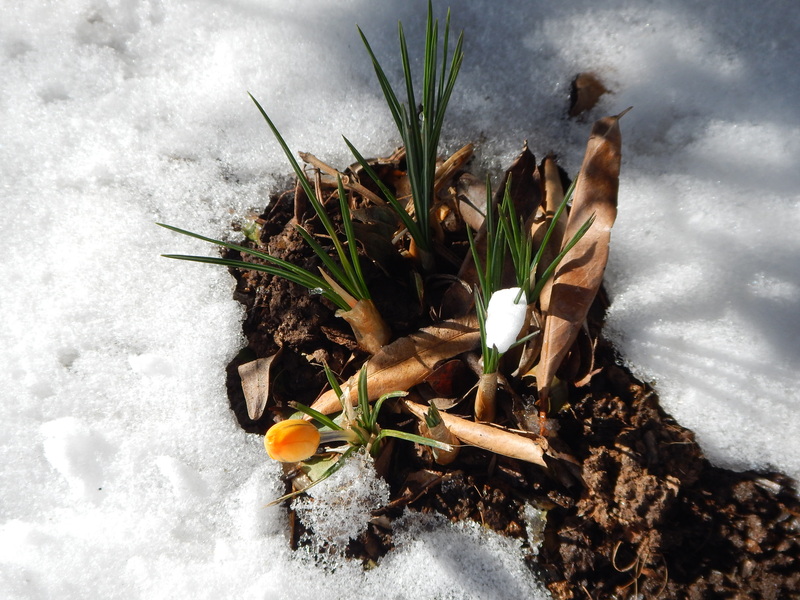 Still, under a laurel bush, I saw a crocus in bud through the snow. A new year and spring waiting in the wings. 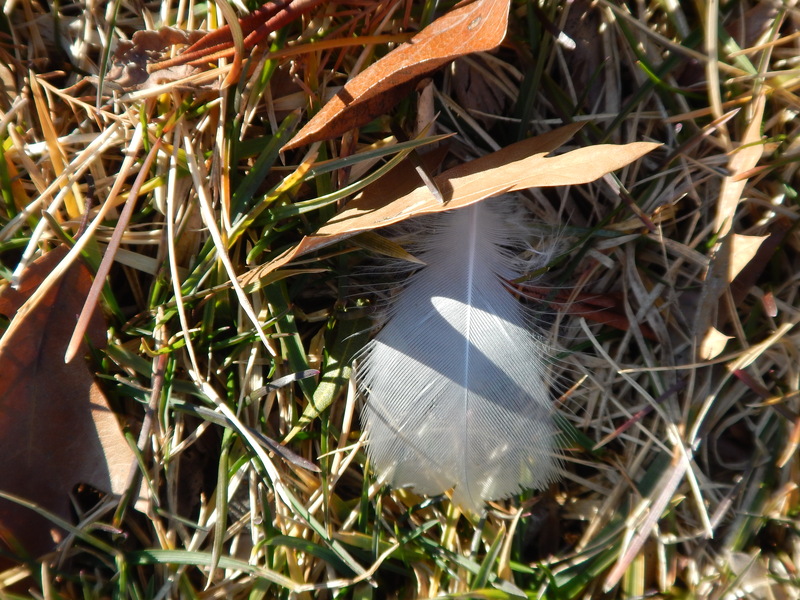 This entry was posted in Going to School, Memoir and tagged Arlington, Bartholdi Park, crocus, kindness, New Year's resolution, pho, PHO 75, REEP, school, Tet, The National Gallery, The National Museum of the American Museum, Wilson Boulevard, Wilson School on February 19, 2015 by lyndaterrill. 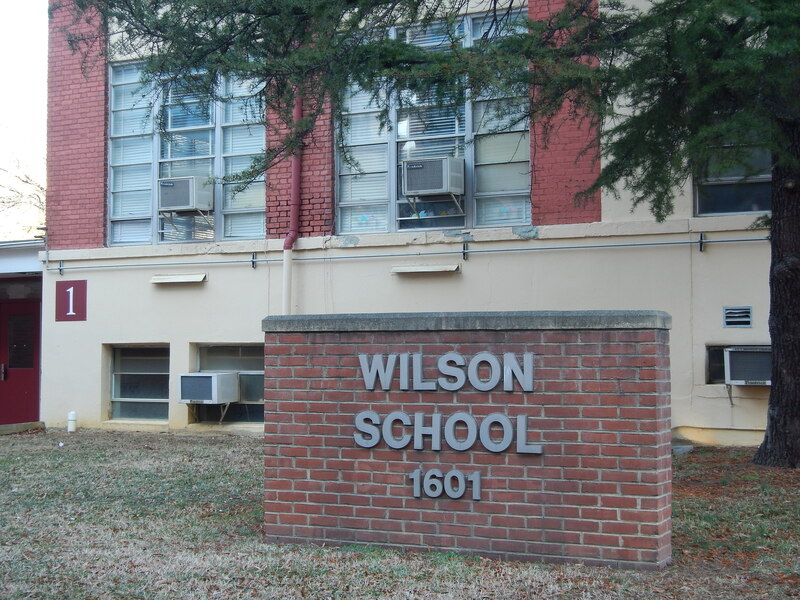 For over twelve years in the 1980s and 1990s, I taught English to adult immigrants and refugees at the Arlington Education and Employment Program (REEP) in Arlington, Virginia. REEP began in 1975 as a 90-day demonstration program to serve refugees from the Southeast Asian conflicts, but it has continued through the years and, so far, has served over 90,000 students from around the world. In my early years of teaching at REEP, I was lucky enough to get to know many Vietnamese refugees. Some of the students I worked with were the part of the family unification program. The middle-aged men had worked with the Americans in Vietnam and had been re-educated, that is, imprisoned and tortured, by the winners of that conflict. The men came to our school with their wives and children. The wives and the children mostly prospered. The trajectory for the adult children I knew usually seemed to be: ESL program, community college and, then, degree at George Mason University. I always guessed that the men must have felt so happy to have accomplished the feat of getting their families here to safety. The few middle-aged men I met (I knew their wives and children more) seemed to get over here, then fall ill, perhaps because of the effects of the imprisonment and torture. One woman, Linh (not her real name), seemed to be here only with her young child; there was no husband in evidence. She appeared to be well respected within the Vietnamese group in our school. I later found out that Linh had an older son, probably with an American soldier from back in the day. I was her teacher, but we became friends, too. We were the same age exactly, and, like her, I also had a young child and two older ones. Linh had not been to school much in Vietnam. How could she; she lived in Da Nang, back in the day. I taught the beginning-level English class and Vietnamese accents are hard for Americans (at least for me) to understand. Linh mumbled and kept her hand in front of her mouth. Nonetheless, she somehow communicated very well, and we had a strong bond between us. Our school was about five blocks away from Arlington National Cemetery. So, every Memorial Day and Veterans Day, some of the teachers would walk with the students over to the cemetery. Field trips were always prepped in advance: new language was learned and cultural aspects were discussed before we left the classroom. Once we were on a journey, however, I usually moved back a little to let the students have their own interaction with the museum, the park, the garden, or the store. The students and I were walking around a memorial in honor of the American war dead. As students were ranging around the statue, Linh came up to me. She began talking to me about her young girlhood in Da Nang Province. She talked about how the American soldiers were everywhere in town during the day, but how every night the Viet Cong would come into town. Linh was explaining how it was—the chaos and trauma of her growing up; no peace, and bombs day and night, and, I guess, the baby that came when she was so young. I hope telling me her story in that big rush of words helped Linh exorcise some demons, and I think I understood more of how it might have been. Several minutes later, the students and I walked up to the JFK gravesite. 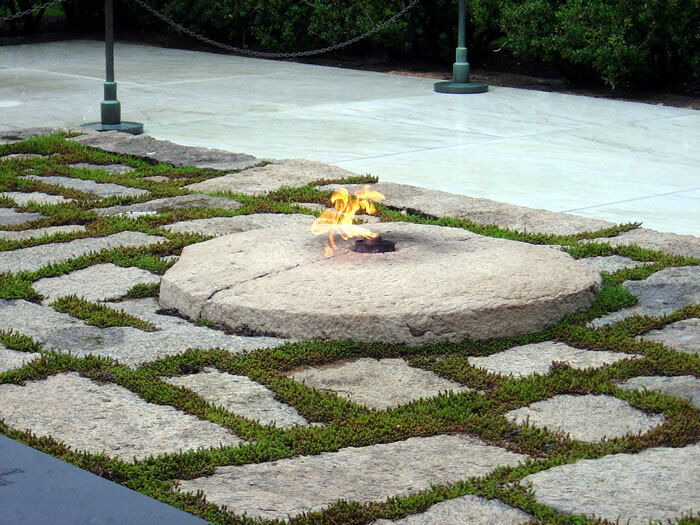 There was a low railing around the grave and the eternal flame. As usual, tourists thronged around it. As we got closer, I saw a figure step over the rail and bend toward the flame. I jumped into schoolteacher mode, ready to scold the person for breaking the rules and being disrespectful to the memorial. Before I could do that, the person straightened up. He was a stocky, bearded middle-aged man (AKA Harley-Davidson guy) who got up and quickly walked away. Then, I saw that he had left a green beret beside the flame. Again and again, I’ve thought of that morning—many years ago now—that coincidence, that karmic happening, and that expiation. I don’t know what to make of it or how to describe it accurately, so you and I can understand it. I wish I could. At 17 I was rallying against the Vietnam War—Ho, Ho, Ho Chi Minh, NLF is Gonna Win. I am still against the Vietnam War, but now I know men who were tortured by the people I thought were freedom fighters, a girl who was traumatized day and night, and a mother who would not smile in my class for the first five months she sat there. There are so many demons to exorcise. Along with the Vietnamese and Cambodians, our school worked with the Ethiopians and Eritreans, the Afghans, the Peruvians, the Salvadorans, the Bolivians, and many other groups. Later, the Somalis came and so did the Iraqis, Iraqi Kurds, the Sudanese, and many more. I recently corresponded with one of my friends who still works at REEP. She says there are more Guatemalans and Hondurans coming now. There seem to be more than enough stories and more than enough demons to exorcise. This entry was posted in Going to School and tagged Arlington Education and Employment Program, Arlington National Cemetery, ESL, eternal flame, green beret, JFK gravesite, REEP, veterans, Vietnam, Vietnam War on November 11, 2014 by lyndaterrill. Today I am trying to discard a packet of notes I wrote for a paper on James Madison and his ideas of faction, separation in government, and related topics. 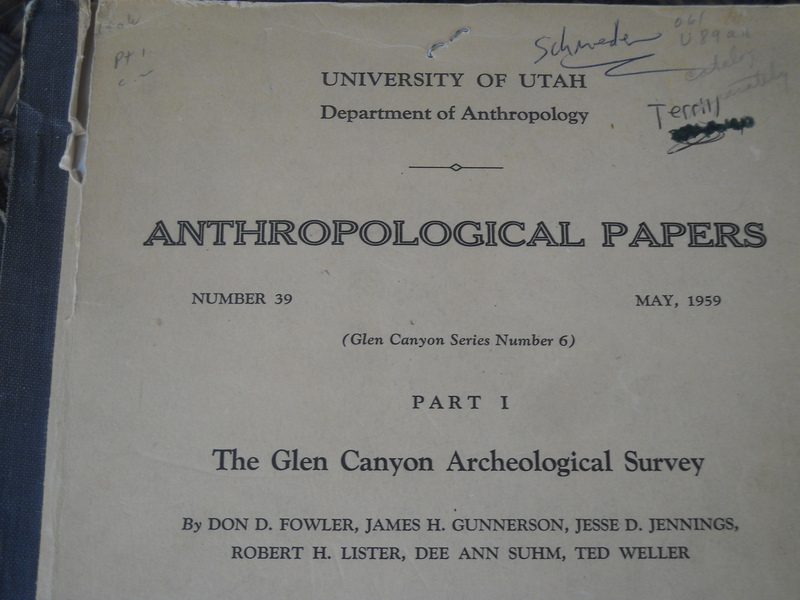 I believe I wrote the paper in 1973, so you might wonder why I have retained the notes. Actually, there are several possible reasons. 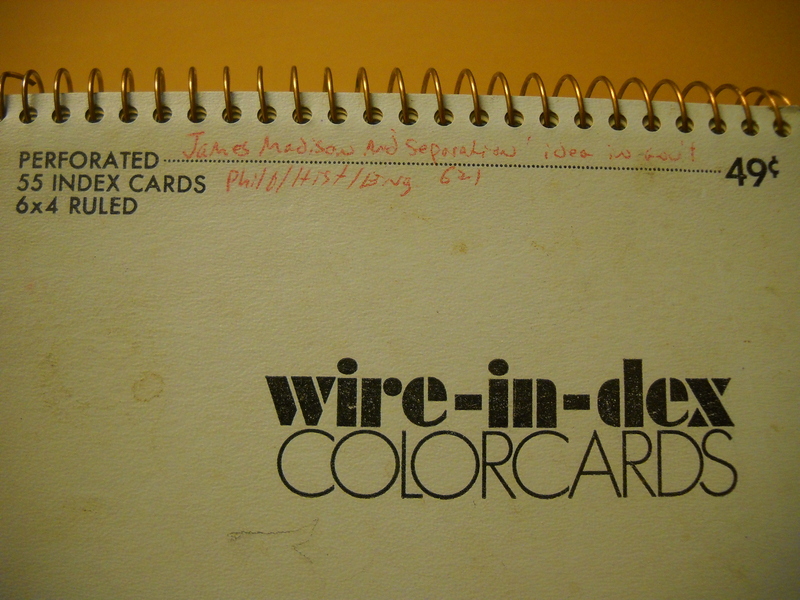 First, I remember liking the format of the packet: all the cards in the Wire-in-dex COLORCARDS (blue) are bound together like a mini spiral notebook. I admired this index card innovation and I hoped that it would keep my notes and my thoughts in order for a change. Second, until recently, James Madison was one of my heroes and so I have had a goodly pile of Madison paraphernalia to sort through and toss out. Other than this packet, all I have left is a (mostly unread) copy of James Madison: A Biography by Ralph Ketcham tucked away somewhere in our temperature controlled storage unit. From what I understood of him, Madison and I shared ideas about the nature of humankind. I admired the way he used these ideas to plan a government structure that could develop a strong (and, over time, increasingly democratic) society. Third, I think these notes reminded me of happy, idealistic times in Salt Lake City. I guess I should tell you that back in the day it seemed like I was always trying to write papers on Madison. What I mean to say is that I was trying to write at least one good paper on Madison. I wanted to write a paper that clearly explained Madison’s well-reasoned, realistic, crafty, and humane ideas. That didn’t happen, but now with the ubiquity of original sources available on the Internet, Madison’s own words are widely available, so no one needs my somewhat tortured and ineffectual explications. For years I was miffed that at least a segment of the populace American populace seemed to be aware of Thomas Jefferson, but didn’t seem to know anything about James Madison. Also, from my own experience, I think some people conflate the Declaration of Independence and the Constitution and, furthermore, I am not sure if anyone remembers about the Articles of Confederation and all the trouble they caused. I think I am in danger of jumping on a soapbox about the lack of information, misinformation, and dissing of my hero, so I think I will stop soon. I need to tell you that it is the slavery thing that has finally made me disappointed in Madison. Of course, I always knew that Jefferson, Madison, Washington, Monroe and others were slave owners. I only understood this fact in my gut, however, when I moved five miles from Monticello and 25 miles from James Madison’s Montpelier. Okay, I still admire Madison in so many ways, but I have to distance myself from him for at least a while. As there is a degree of depravity in mankind which requires a certain degree of circumspection and distrust…so there are other qualities in human nature which justify a certain portion of esteem and confidence. I’ve just skimmed the notes one final time. Now I am going to stand right up and dispose of them in the recycling bag. I can’t even say good riddance. I think I am going to miss these cards, but, if I ever decide to write a good paper on Madison, I know I that I can find the resources online. Note: So far in my new blog, I have gotten the most reader response about cookies. So, next entry, I plan on writing about Grandma in Idaho’s filled raisin cookies. See you then. 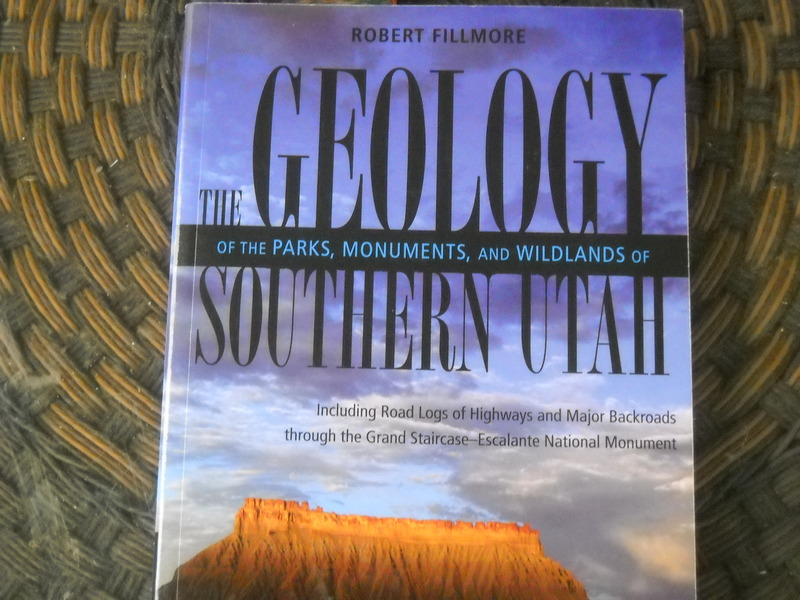 This entry was posted in Going to School and tagged American History, Constitution, James Madison, memoir, school, Thomas Jefferson on October 22, 2012 by lyndaterrill.